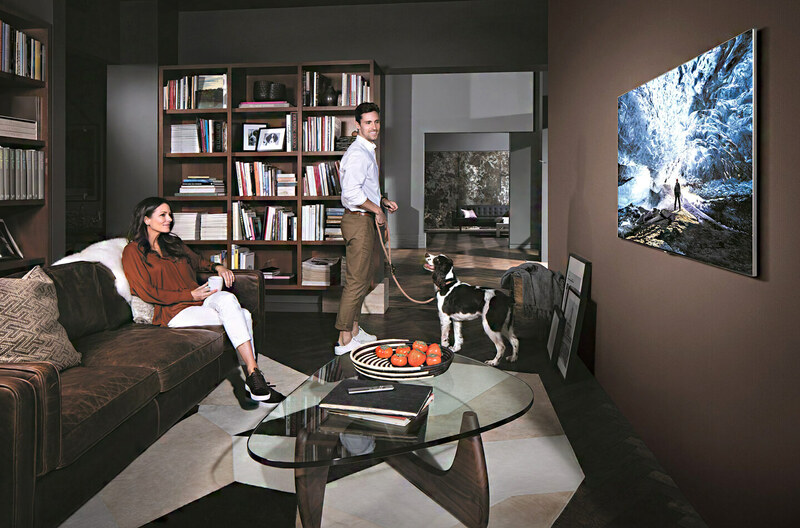 TV Market Insights: Samsung Newsroom has posted an interesting article which reveals the latest TV trends in the global market. Samsung Electronics recently invited media and journalists to discuss key trends and the outlook for the global TV market, as well as to share regarding the company’s business direction. Among the trends discussed included the rapidly increasing demand for Ultra HD quality large screen televisions, as well as ongoing consumer pain points related to TV convenience. According to market research firms GfK and NPD, global market revenue for big screen TVs, larger than 55-inch, occupied over 40 percent between January and August 2017. In North America, 60 percent of smart TV sales were for big screen TVs larger than 55-inch, with 30 percent for TVs larger than 60-inch models. TV trends related to resolution: the market is also experiencing a shift from Full HD to UHD. Between January and August of this year, according to GfK and NPD, revenues for UHD TVs accounted for over 50 percent of the global TV market, and 60 to 70 percent in North America, Europe and Korea. Consumers also continue to desire smart TVs that are easier to use. 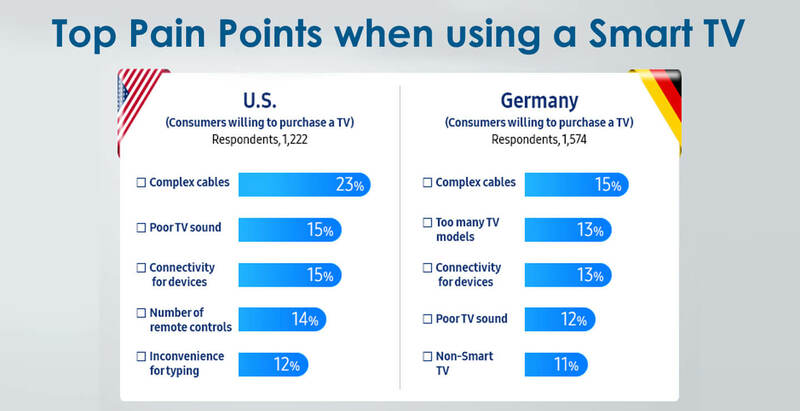 Samsung Electronics recently conducted research into the United States and German TV markets, involving more than 1000 consumers in each region who indicated willingness to purchase a new television. The results of the survey show that 23 percent and 15 percent of the respondents in the U.S. and Germany respectively pointed out ‘complicated cable wires’ as the first pain point. 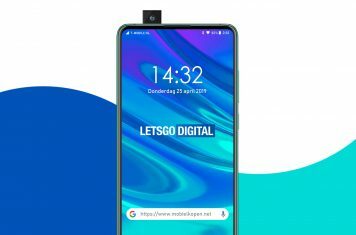 Participants of the survey also indicated continuing difficulty in linking external electronic devices to their smart TVs, typing and navigating via the TV screen. According to GfK and NPD, between January and August 2017, Samsung Electronics was the number one TV manufacturer, recording 34 percent of total global TV market revenue, higher than the market shares of the second and third largest players combined. Samsung also recorded 42 percent for big screen TVs, 60-inch and larger, and 38 percent for UHD TVs. Samsung also led in market share based on pricing, with 44 percent in TVs, priced over USD 1500, and 37 percent for TVs over USD 2500. With a significant increase in QLED TV sales in the second half of this year, there is no doubt that the position of Samsung as a leading manufacturer in the premium TV market segment continues to grow, Samsung will continue to lead global TV market trends with a business strategy that meets the rapidly changing needs of global consumers, said Yoon Lee, Senior Vice President of the Visual Display Business at Samsung Electronics. 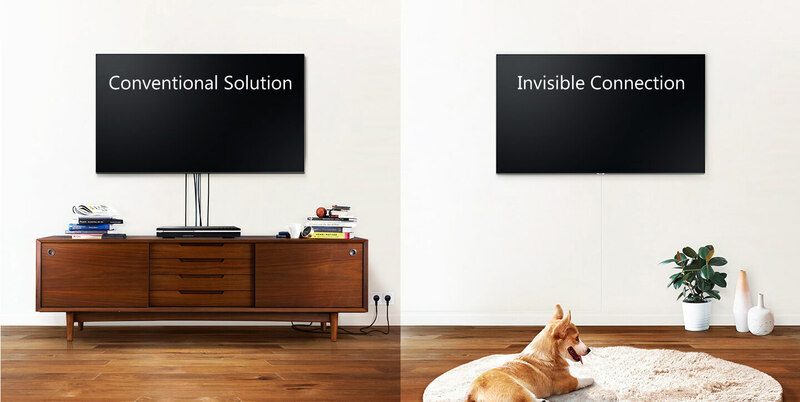 Samsung’s TV accessories have also received positive product reviews, including the clean and clutter-free cable solution, Invisible Connection; auto recognition and control function, Auto Detection; and One Remote, providing an easy way to access many different remote controls in one. 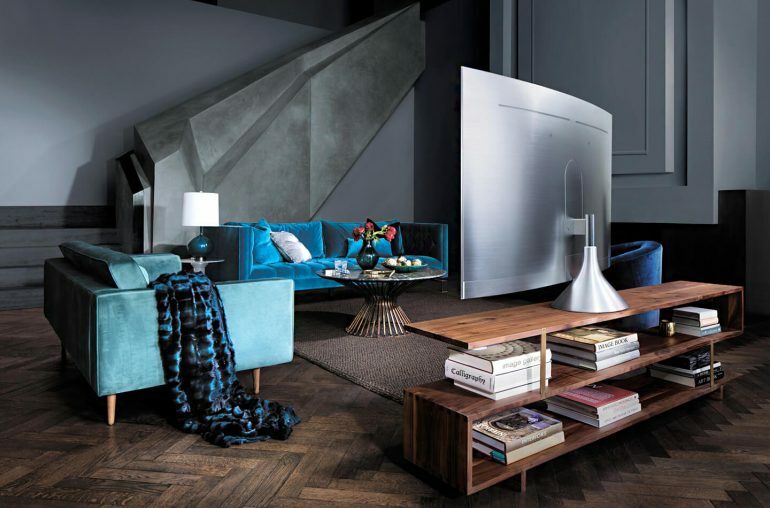 Samsung’s strategy revolves around providing consumers with the broadest options for big screen TVs, such as Samsung QLED TVs and premium UHD TVs in 65-, 75-, 82- and 88- inch sizes, as well as curved and flat screen models.